Hello friends! Today I bring a vegan and paleo cake recipe! 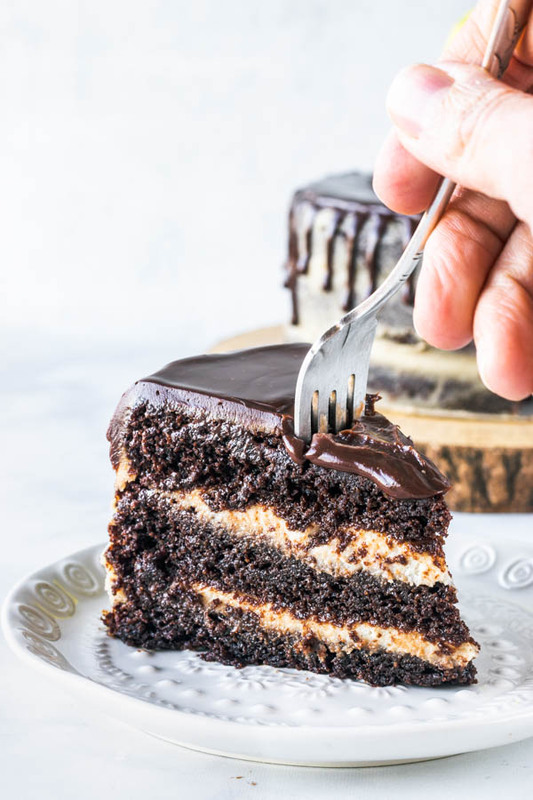 This marvelous Chocolate Peanut Butter Vegan Cake! 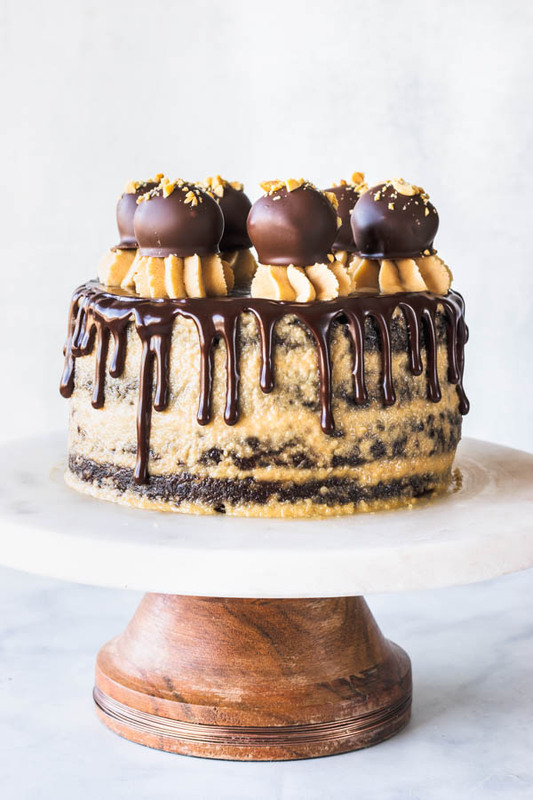 Topped with Peanut Butter Vegan Truffles. This vegan cake is also paleo, gluten-free, refined sugar free, but full of flavor and deliciousness. Super moist, rich, indulgent! 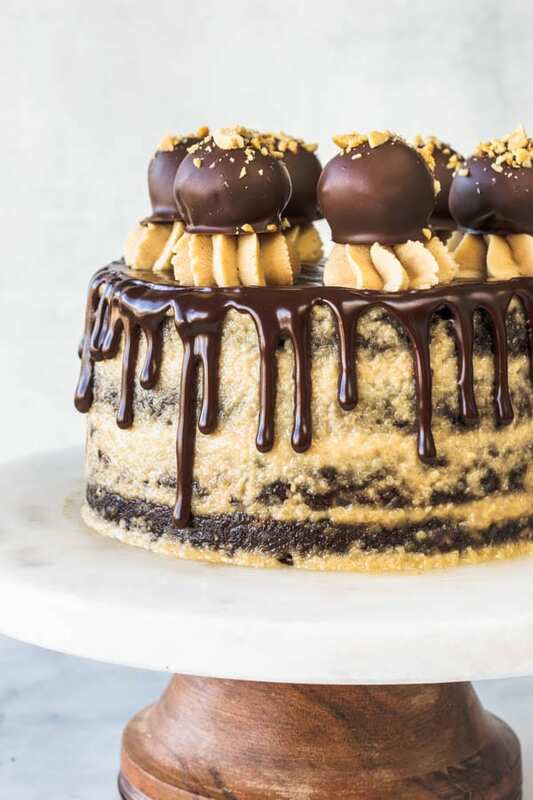 I topped the cake with my delicious Chocolate Peanut Butter truffles. 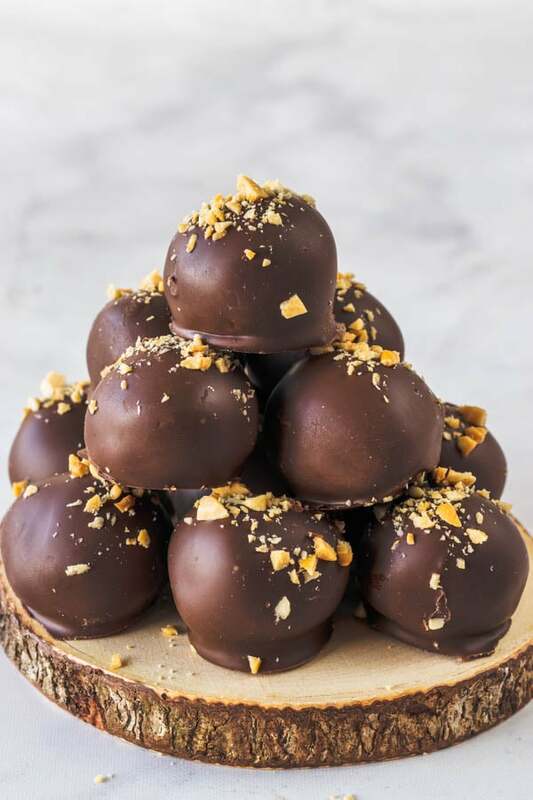 Currently, I am working on a post for my peanut butter truffles because they are THAT good and deserve their own post. 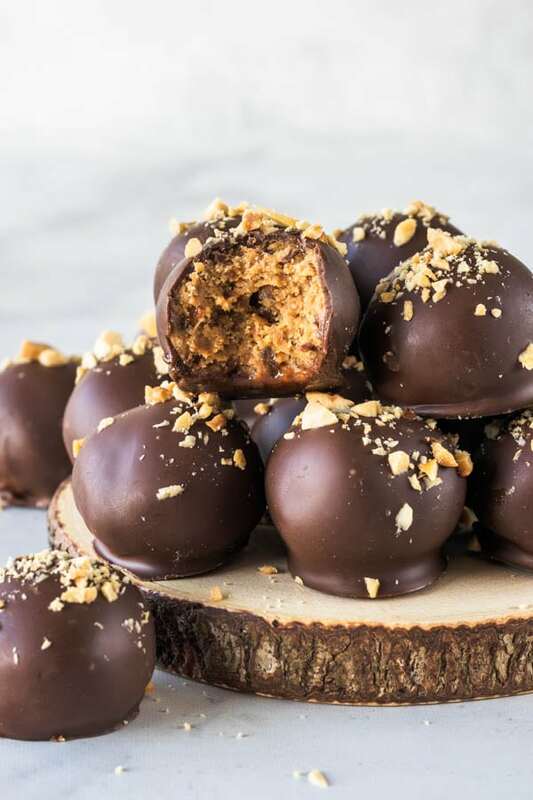 Update: HERE is the link for my Vegan Peanut Butter Truffles. I mean, check out these truffles, don’t you think they deserve their very own special post? I seriously couldn’t help myself from wanting to eat them all! Anyway, back to the cake. 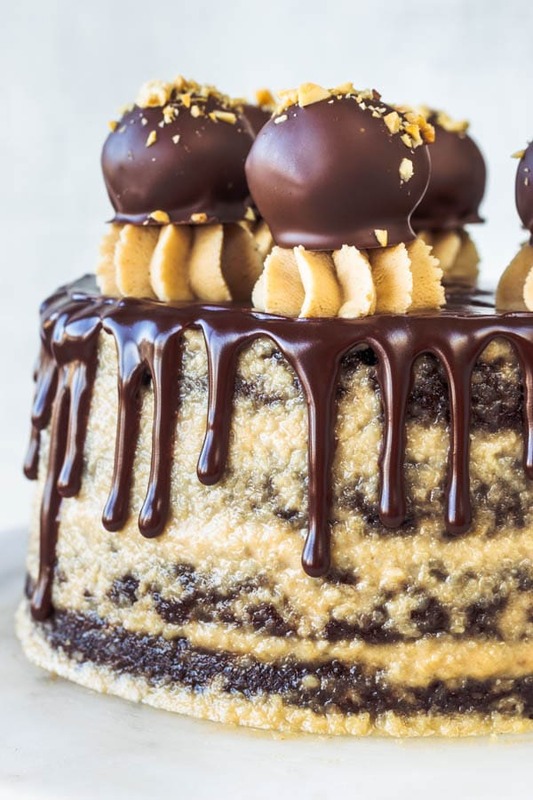 The truffles are a great addition to this delicious Chocolate Peanut Butter Vegan Cake. You can see how I decorated this cake in the following video. 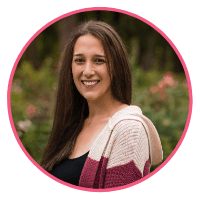 Like I’ve explained on my Chocolate Strawberry Cupcake post, I am just learning how to make videos, so please bear with me while I get through the huge learning curve. It’s been as fun, as it’s been challenging! The chocolate cake itself is very moist, so handle it with care. Make sure the cake is cold from the fridge when you frost it, because the cold cake will be sturdier. The vegan peanut butter frosting has to rest quite a bit in the fridge before you are able to use it. I let mine rest overnight. If it’s too runny, it’s because you’ve measured the ingredients wrong. I also use this same frosting here in my Chocolate Chip Cookie Vegan Cupcakes, but in a chocolate version. It’s a very versatile and delicious frosting. Make sure the ganache is at room temperature, not cold, and not warm. I usually like to make the ganache and let it rest on the counter for a couple of hours, or less time depending on the temperature of the room, to let cool down to room temperature. If I have to make the ganache ahead and store it in the fridge, I always make sure to remove it from the fridge a few hours before making my recipe. You can also try heating the ganache in the microwave a few seconds at a time, stirring in between, to achieve the perfect consistency. Alternatively, if the ganache is too runny and warm, you may put it in the fridge and stir it every few minutes, and let it get firmer. To test the ganache, simply drip a small drop down the side of the cake, and watch it roll down. If it rolls all the way to the bottom, too fast, it means the ganache is probably too runny, and could use some chill time. If the drop barely moves, it means the ganache is too stiff and needs to be warmed up slightly. You are looking for a drop that slowly runs down to about the middle of the cake and stops. That’s when you know your ganache is ready to make the drip. Now if you are dying to see the inside of the cake, I want to show it to you. The picture I have from the inside of the cake is from my first time testing for this recipe, and I only had 3 layers of cake instead of 4, so I decided to make the cake one layer taller the second time around. But seriously, check out this moisture. I was absolutely addicted to this cake!! 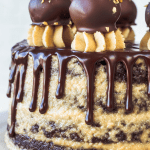 Hopefully you loved today’s post, as much as I have loved making this Chocolate Peanut Butter Vegan Cake! Here’s one more picture of my truffles, don’t forget the recipe is coming soon. If you would like to see more Vegan Dessert Recipes, please click here. Here are some of my favorites: Chocolate Chip Cookie Vegan Cupcake, Vegan Coconut Cake, Chocolate Chip Cookie Vegan Pie, Pecan Brownie Vegan Pie, Fig and Pistachio Vegan Cheesecake. 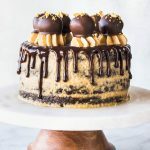 Chocolate Cake filled with Peanut Butter frosting, with a ganache drip, topped with peanut butter truffles. Vegan, paleo, gluten-free, refined sugar free. Line 4 6-inch cake pans with parchment paper and grease them by brushing the pans with avocado oil. Set aside. Divide batter into the 4 pans. Drain cashews, place in the food processor together with maple syrup, coconut cream, peanut butter, lemon juice, coconut butter, and vanilla extract. Transfer mixture to a bowl and cover. Place it in the fridge for 4 hours or overnight, to solidify. Heat the coconut cream until it almost reaches a boil. Pour over chocolate chips. Wait a couple of minutes. Stir mixture with a spatula gently, until all chocolate has melted. If chocolate doesn’t melt, and you still see lumps, you want to place your ganache bowl in the microwave for 10 seconds at a time, stirring in between, until the chocolate has melted entirely. Place a slice of cake on a cake plate, or cake board. Spread some of the frosting in the middle. Place another cake on top. Keep doing this to all layers. Cover the cake with the frosting. Use a spatula or bench scraper to smooth the surface of the cake. Let it chill in the fridge until cold. Now it’s time to pour the ganache on top. You want the ganache to be at the perfect consistency, it can’t be too runny, and it can’t be too stiff. If your ganache is too runny, place it in the fridge for a few minutes and stir, repeating this until you achieve the desired consistency. Alternatively, if ganache is too stiff or hardened, you want to place it in the microwave for 3 second intervals, stirring in between, until you achieve the desired consistency. 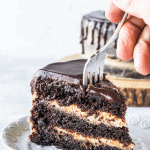 Test by dropping a small droplet on the side of the cake and watch how the drip flows, if it’s reaching the bottom of the cake too fast, it means it might be too runny, and if it doesn’t run down the cake, means it might be too stiff. You want the drip to stop in the middle of the cake, that’s when you know your ganache is at the perfect consistency. Let cake chill in the fridge for at least 4 hours before slicing. 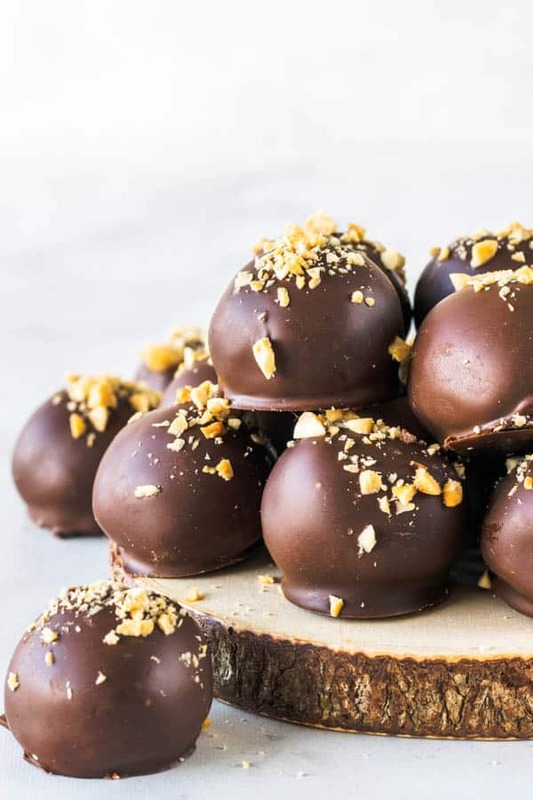 Decorate with the peanut butter truffles. This cake will store nicely in the fridge or freezer. Simply make sure to package it really well if you plan on freezing it, and only do it up to 1 month. It will keep nicely in the fridge for up to 5 days. *You can soak the cashews in room temperature water overnight, or you can soak the cashews in hot water for at least 4 hours. **Adjust amount of maple syrup according to taste and how sweet you want the frosting to be. Have in mind that the amount of maple syrup might influence the consistency of the frosting and make it thinner. I would love the recipe for the truffles! I am also going to update the post above to contain the link to the truffles. Thank you so much! Can you do larger cake pans but less layers? How would you adjust the recipe or cook time to make it work? Yes, I would do two 8 inch layers in this case. The cakes might need a bit more time cooking, probably an extra 5 minutes. To check if the cake is done baking, you can touch the top of the cake very gently, if it springs back and seems firm, then the cake is baked. You can also use a toothpick to check, insert it in the cake and if it comes out clean, the cake is ready. The toothpick might have a few crumbs sticking to it, but as long as there’s no actual batter, it’s ok. I would keep the recipe the same, including the frosting.